Please allow a 1 week lead time. 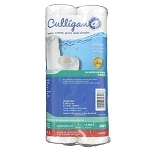 The Culligan HF-360A is generally used as a whole house water filter and is often used before water heaters or water softeners to help extend the life of your appliances/ equipment. Atop of the filter housing cap is a red pressure relief button which vents excess pressure inside the housing to make installing replacement filters easier. 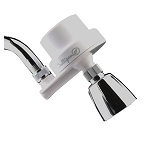 The filter housing cap also features a built-in shut off valve, so you will not have to install one in order to replace your filters. Q: Says out of stock but doesn't allow me to back order or say when it will be in stock. When should I try again or will you never have this one anymore? A: This housing will fit any standard 2.5 x 10 cartridge. 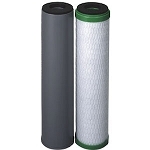 You may want a sediment filter or a carbon block filter. 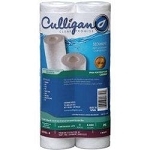 These filters are also sold by micron rating. 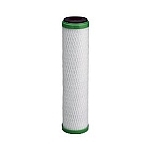 The lower the micron rating, the more the filter takes out BUT it will also reduce water pressure. 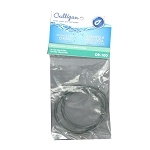 Here is an example of a 20 micron sediment filter... http://www.waterfiltersfast.com/20-Micron-Polyspun-Sediment-Filter-25-x-10-_p_7133.html. The o-ring needed for this system is the OR-34. We do not sell that item.